Major US stock market indexes were down and the US dollar fell to its lowest level in weeks after President-elect Donald Trump called the currency "too strong," prompting traders and investors to sell the greenback amid uncertainty over fiscal policies of the incoming administration. On Tuesday, the Dow Jones industrial average fell 58.96 points, or 0.3 percent, to 19,826.77. 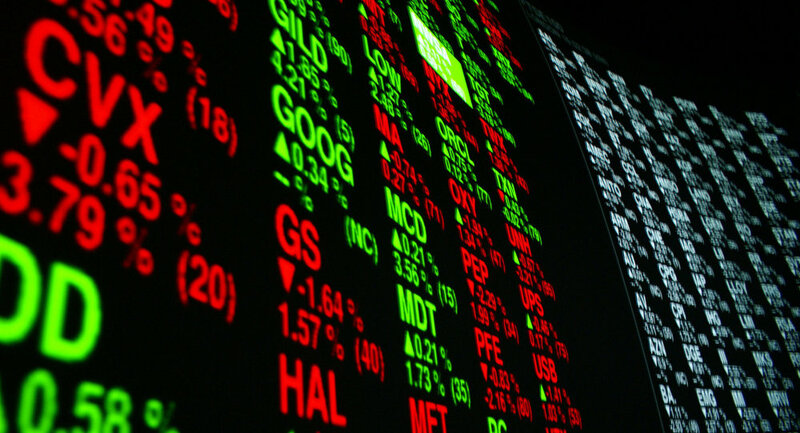 The Standard & Poor's 500 index lost 6.75 points, or 0.3%, to 2,267.89, while the Nasdaq composite index declined 35.39 points, or 0.6 percent, to 5,538.73. The same day, the dollar index, which measures the currency against a basket of six major peers, fell approximately 0.7 percent, reaching 100.26, its lowest level since December 8. On Wednesday, the dollar index slightly recovered, rising 0.2 percent. On Monday, Donald Trump said that US companies could not compete with Chinese businesses because the dollar is too strong. "And it's killing us," he told the Wall Street Journal. Trump's comments mark a sharp contrast to a two-decade-long policy of US presidents speaking in favor of a strong dollar. The dollar was also affected by the news from across the Atlantic. In a major speech on Tuesday, British Prime Minister Theresa May indicated that London has opted for a hard Brexit strategy, adding that the parliament will hold a vote on the final deal with the European Union. As a result, the British pound surged 2.7 percent, its biggest rise since 1998. The currency has consolidated its gains on Wednesday.